tachyon wrote: Dabirsim(FR)(Hat Trick) covered 190 mares this year. Silence is Gold(BRZ), 2014F. Agnes Gold(JPN) x Olympic Firstclass(BRZ) by First American(USA), won in the G1 Grande Premio Margarida Polak Lara 1600m turf at Gavea on August 5th 2017. She is Agnes Gold's fourth G1 winner in Brazil. Tachyon, I don't know how to thank you enough for keeping us informed of Sunday Silence's descendants. He is among my all-time favorites. I saw him run numerous times when I lived in Southern California, and love him dearly to this day. I'm so very glad that the Japanese saw the value in him when American breeders did not. tachyon wrote: Vermouth(JPN), 1997M. Sunday Silence(USA) x Legacy of Strength(USA) by Affirmed(USA), became the 25th daughter of Sunday Silence(USA) to produce G1 winner, when Red Falx(JPN)[2011H. by Swept Overboard(USA)] won in the G1 Sprinters Stakes 1200m turf at Nakayama on Oct 2nd 2016. Red Falx(JPN), 2011H. Swept Overboard(USA) x Vermouth(JPN) by Sunday Silence(USA), demonstrated an extraordinary closing kick and successfully defended his G1 Sprinters Stakes title, becoming the third horse in history since Sakura Bakushin O(JPN) (1992-93) and Lord Kanaloa(JPN) (2012-13) to do so. And I believe that Swept Overboard(USA) has now found a very credible successor at stud in Japan!! -- replay (English) of the G1 Sprinters Stakes 1200m turf at Nakayama on Oct 1st 2017. 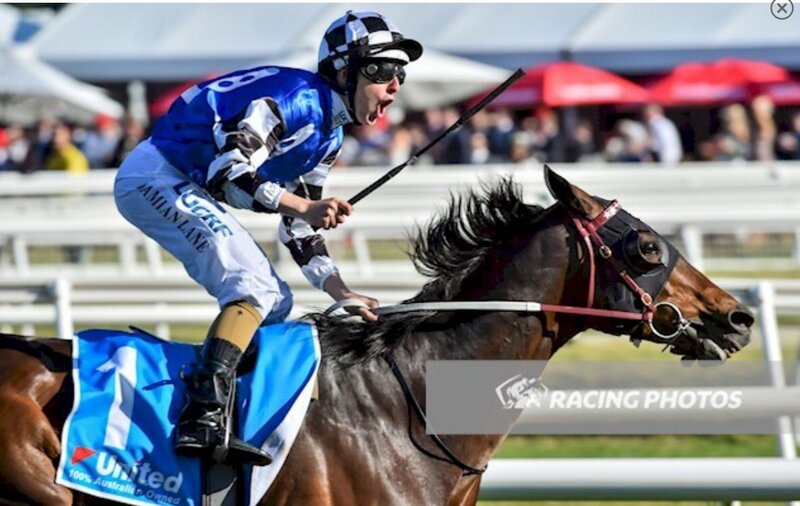 Holy cow, talk about a flying finish... that last furlong was insane!!! Super impressive win for Red Falx & no shame at all in that second for Lets Go Donki. lurkey mclurker wrote: Holy cow, talk about a flying finish... that last furlong was insane!!! Super impressive win for Red Falx & no shame at all in that second for Lets Go Donki. I like those End Sweep x Sunday Silence cross!!! 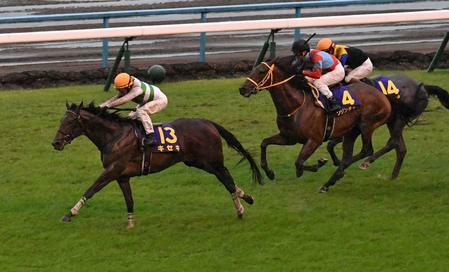 Yes, 2015 Okasho winner Let's Go Donki ran a super race for the second place. No, Nanako Fujita was not in that race. She has never been given a chance to ride at the highest level yet. And here are some recent picks of Swept Overboard(USA). Thank you for the pictures of Swept Overboard. He was a neat little horse -- his biggest win was in the Met Mile, but I remember him mostly from his nail-bitingly close come-from-behind wins in sprints on both surfaces in SoCal. I'm glad he finally got a good son. Real Steel (JPN) held off Satono Aladdin to take the G2 Mainichi Okan at Tokyo Racecourse. Lots of big names in the field which also included Soul Stirring (who led most of the way) and Makahiki, who were both coming back after layoffs. Real Steel is by Deep Impact & out of Loves Only Me (USA), who has Terlingua for one granddam & Miesque for the other. I read on RacingPost that Real Steel may come over for the Breeders' Cup (the Turf, I presume). It would be cool to have Japan represented at Del Mar. Tosen Stardom(JPN), 2011H. Deep Impact(JPN) x Admire Kirameki(JPN) by End Sweep(USA), won in the G1 Toorak Handicap 1600m turf on October 14th 2017. Brave Smash(JPN), 2013H. Tosen Phantom(JPN) x Tosen Smash(JPN) by Tokai Teio(JPN), finished 3rd in the world's richest Everest Stakes 1200m turf on October 14th 2017. Tosen Phantom is a son of Neo Universe(JPN). Deirdre(JPN), 2014F. Harbinger(GB) x Reizend(JPN) by Special Week(JPN), won the last jewel of Japanese Triple Crown for fillies in the G1 Shuka Sho 2000m turf at Kyoto on October 15th 2017. 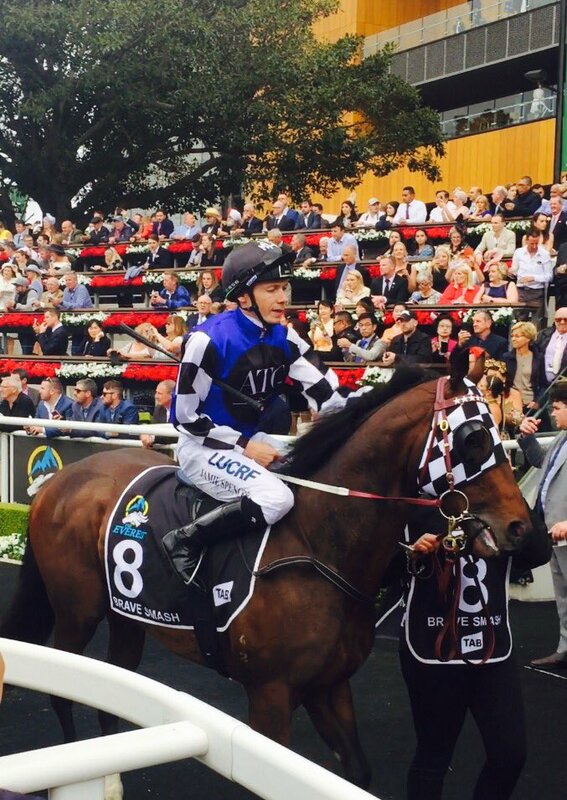 Her first G1 victory also was the first JRA-G1 victory for the sire Harbinger. Record-breaking Dabirsim (Hat Trick) filly tops the first day of the Arqana October Yearling Sale! Consigned by Haras de Grandcamp, the filly was knocked down to Charlie Gordon Watson for €500,000!!!! Wow I'm glad Darbisim is getting support! Hope it will bring a bit more attention to Hat Trick over here. Dabirsim will have his 2018 stud fee raised to €30,000 from €9,000!!!!! Kiseki(JPN), 2014C. Rulership(JPN) x Blitz Finale(JPN) by Deep Impact(JPN), won the final leg of the Japanese Triple Crown Kikuka Sho (G1) (Japnese St Leger) 3000m turf at Kyoto on October 22th 2017. His first G1 victory was also the first G1 for the sire Rulership(JPN). I actually managed to stay up to watch it! Very game & determined run by Kiseki, and I was also impressed by Popocatepetl (mostly that the announcers managed to pronounce his name LOL! ) - he missed second by maybe a whisker. Not many grey Deep Impacts, so he was eye-catching in more ways than one. Yes, Kiseki is from Rulership's first crop. And Rulership is the leading second-crop sire of 2017 in Japan. Out of the legendary racemare & broodmare Air Groove(JPN), the impeccably bred son of King Kamehameha is the only second-crop sire of 2017 in Japan who has been represented by a G1 winner. Kiseki's classic victory here will cement Rulership's status as a major stallion standing at Shadai. Saxon Warrior(JPN), 2015C. Deep Impact(JPN) x Maybe(IRE) by Galileo(IRE), won the G1 Racing Post Trophy at Doncaster in a thrilling finish to become Aidan O'Brien's 26th G1 winner of the year, breaking the record set by Bobby Frankel 14 years. Ridden by Ryan Moore, he battled back very gamely to defeat Roaring Lion and remained unbeaten, 3 wins from 3 starts. Kitasan Black(JPN), 2012H. Black Tide(JPN) x Sugar Heart(JPN) by Sakura Bakushin O(JPN), won the G1 Tenno Sho Autumn 2000m turf (soft) at Tokyo on October 26th 2017, adding his sixth victory at the highest level to his stellar record. 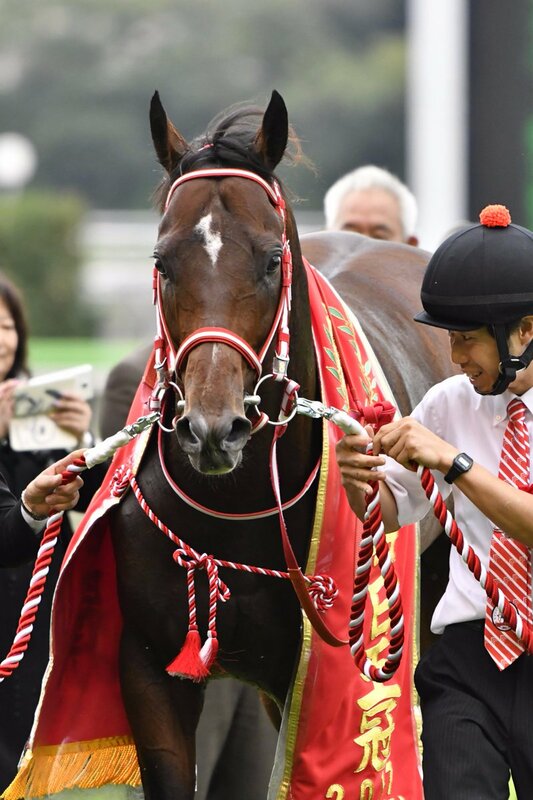 He has now become the fifth horse in JRA history to capture both the Tenno Sho (Spring) and (Autumn) in the same year, and the second to score three Tenno Sho titles overall.